I breathed a sigh of relief when I filed for leave in mid-December, as it had been a tough half a year. I would be on leave until January and was planning on a few field trips with my students and resting. After a few days, my head felt quite sore and really sensitive when I was on a field trip with my mudskipper student, Trina Chua. But she could not see any mark on my head. Then a pimple appeared (a first for me) and a burning ear infection kicked in. Inserting Vicks VapouRub in my ear gave temporary relief and I got ear drops from a clinic to treat it the next day. Since I was on leave anyway, I decided to avoid my research students who were busy with field work in December, just to be safe. Never know what I might have. Well that thought turned out to be prophetic as two more “pimples” appeared, one above and one below the first one – the linear arrangement gave it away and it seemed I had come down with shingles – chicken pox round 2. Having experienced chicken pox as a kid, the virus had remained latent only to flare up later in life under conditions of severe stress, physical or psychological, apparently. Usually it does so in individuals over 50, oh well. My rarely visited doc, a former classmate, confirmed the symptoms the next morning and peered worriedly while I struggled to raise my right eyelid which was now closed from a sagging forehead (sounds worse that it was). After some effort, I did manage to raise my eyelid and rolled my eyeball for good measure. He was relieved for the nerves to my eye had been spared. Shingles blisters are localised around a specific area corresponding to the nerve tissue of origin so it was bad luck to get it on my right nostril, eyelid, forehead and scalp, rather than my body. However, I was just glad my eye and ear were not included in the virus' hit list! I dutifully popped Zovirax every 4 hours 48 minutes from then on and after just one night of a body shaking (not jaw-shaking thankfully) fever, I was left to contend with a variety of throbbing and sharp pains on the right side of my head. After two days, I was thankful that my episode appeared to be a mild one. The really odd thing was my incredibly oily forehead! I finally really knew how teenagers feel and for the first time, actually used a face wash – there were some handy Shokobutsu tubes lying around which I applied with a light touch and avoided bursting the fragile blisters. acyclo-GMP gets incorporated into viral DNA (as nucleoside substrate), causes chain termination and cannot be removed by viral repair enzymes. Acyclovir was the first selective anti-viral. 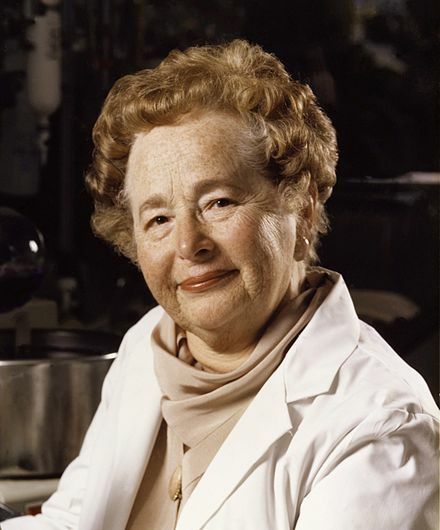 it was only partly for the development of this drug because because she and Hitchings contributed to the development of a host of anti-virals; her resume includes drugs for leukemia, malaria, gout, immune disorders, AIDS, organ rejection – would hold 45 patents. she died in 1999, RIP, at Chapel Hill, N.C. If you read just one article about this extraordinary lady, read this biographical memoir by Mary Ellen Avery at the National Academies Press. I went back to campus last Friday with evidence of my shingles bout clearly reflected on my forehead and determined to see to it I keep things simpler in the new year. Unfortunately, three people in the department had the flu and I picked up a chest cold. Oh well. Anyway, thought I should say I’ve not abandoned this blog, yet. For Stella, who said “no wonder no updates on yr blog!“.